Recently our blog has been nominated for “the Versatile Blogger Award” (cue the champagne and fireworks), so here is our post regarding this award. First of all, we want to thank Stephanie from 1AdventureTraveler – for nominating us, we really appreciate it. Please check her page or find her on Facebook to read about her adventures. So, what’s with this Award anyway? 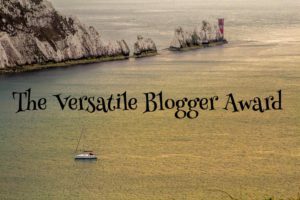 The Versatile Blogger Award is a great opportunity for new bloggers to gain some traffic and help other bloggers to get and give some recognition for their hard work and efforts that are putting into their blogs. By accepting this award, we agreed to reveal seven random things about ourselves so keep reading. I love the window seat but when I am travelling with Cristi, I always end up sitting in the middle because he prefers to be near the aisle – more leg room for him. We always plan our trips in advance: flights, accommodation and itinerary – but this is not set in stone, so deviations do occur. I’d rather have a long list with things I wish to visit, and then decide if we need to skip any, than finding out later on that we passed this awesome spot by 1km, just because we did not research anything beforehand. I am really bad at map reading. Cristi is the opposite, he can find the path even if we are in the middle of nowhere, without visibility nor any landmark – trust me, this happened. Every time we are going somewhere, I just follow him because I know he is always right. I prefer the beach while Cristi is a mountain person. I prefer the heat, he prefers the cold. So there are always compromises regarding our next trip. Sometimes Cristi is more creative than me even if he describes himself as a non-creative person. Neither of us are morning people, with one exception – if we are travelling we try to wake up early to experience as much as possible. Please take your time to visit and read each of these blogs or their social media pages where you can find great stories and photos. 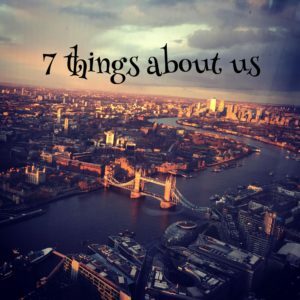 All of these bloggers deserve some recognition for their effort of writing amazing posts about their adventures, tips, itineraries and pictures. All of them have one thing in common: they love to travel and they write about it. I hope all of you enjoyed reading this and now it’s up to you to spread some love with your new nominees.